Do you like adrenaline activities? Want to experience something new and totally cool? Traveling to Slovenia is then the perfect choice, and Bled with its surroundings is the piece of Slovenia that will impress you with both nature and the adrenaline activities it offers. 6 things you can do in Bled in the winter. I am sure that you will find at least some of the 15 extreme things that you can do in Bled and in its surroundings that you would also try yourself. 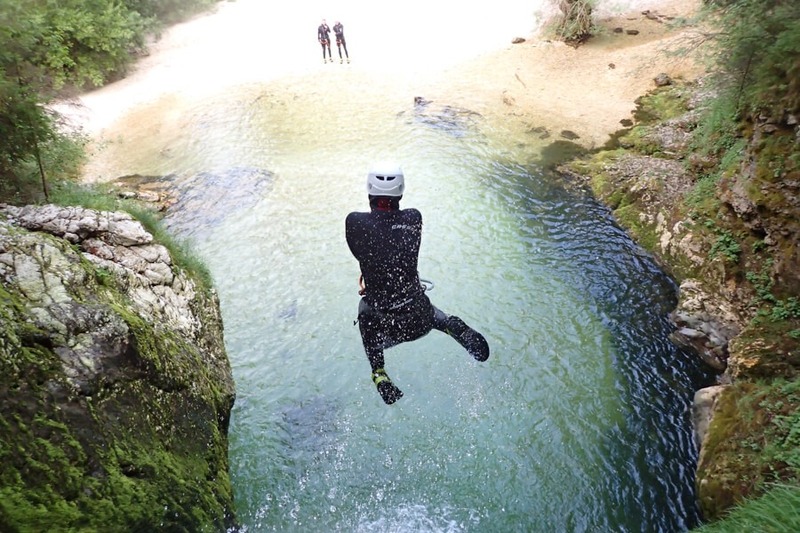 Canyoning is one of the most popular activities in Bled and its surroundings and the first choice of our visitors. In the crystal clear waters, high jumps from rocky ridges and over waterfalls, and drop by rope and natural water slides await you. With good quality neoprene equipment, we make sure that you feel as comfortable as possible in the water and indulge yourselves with adrenaline pleasures. You can choose between different difficulties, from family canyoning, which is also suitable for children, to extreme canyoning, which will send fear to the bones of even the bravest ones. Do you enjoy amazing views? Do you like climbing over ridges and overhangs? Do you want to be 100% safe and attached to the safety ropes? 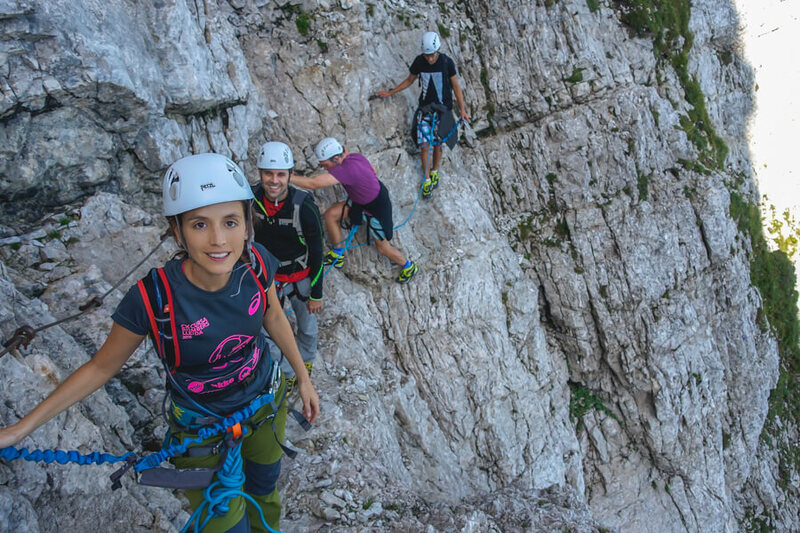 Then Via Ferrata is a great choice for spending the holidays in Bled. For Whom is Via Ferrata Suitable? For everyone who is healthy and who wants to! Our program includes 2 different Via Ferrata tours. 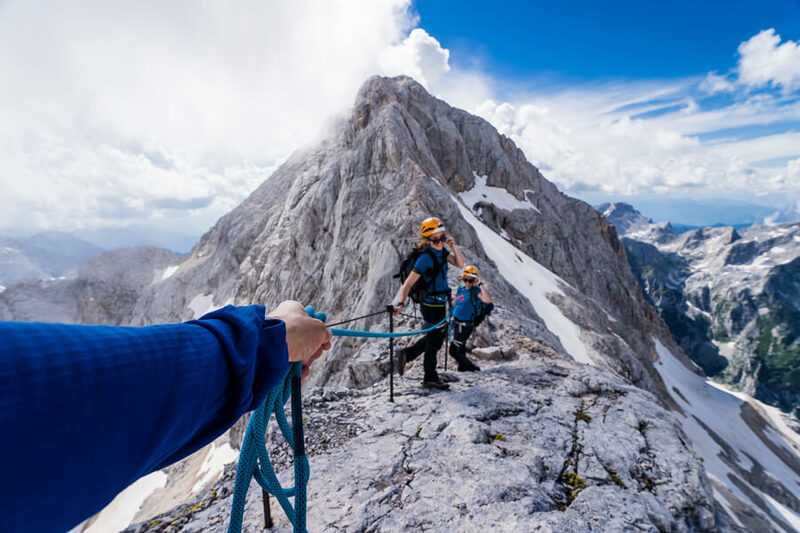 The first Via Ferrata Triglav has two different routes – an easier one also suitable for families and a difficult one which is a considerable challenge. The biggest advantage of this Via Ferrata is that at any time you can change from the difficult trail to the easier one and vice versa. The other, Via Ferrata Mala Mojstrovka, has a higher altitude difference and is more appropriate if you are physically well-prepared. The highest peak in Slovenia is the point that every true Slovene must visit at least once in a lifetime. Together with our guide, you can reach it too. We’ll make sure your ascent is perfect. You can choose between 1- and 2-day tours. 1-day tour is suitable for physically very well prepared persons. The ascent is really demanding, so a 2-day tour is available for those who are not as physically prepared. 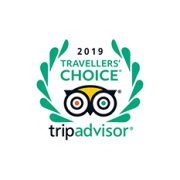 If you want to save money and are experienced in hiking, you can opt for the cheapest tour where our guide escorts you from the last hut to the top. The beauty of Bled and Lake Bled has been noticed and summed up by numerous foreign magazines and the town has received many awards. It has also ranked among the 100 greenest destinations in the world. Years ago, the lake was also nominated for the selection among the world’s greatest wonders. Its shape was also noticed by the legendary Rolling Stones, with a question being asked on Twitter whether the shape of the lake reminds them of something. The shape from the air reminds us of the recognizable logo of the group (the outline of the lips and the tongue that protrudes from the mouth). If you decide on a balloon flight over the town and the lake, you can make sure of that with your own eyes. Is a balloon flight not enough of an adrenaline experience for you? Do you want something wackier? Then a parachute jump is an adventure that you must not miss. For a family trip, you can go to Logatec, where a wind tunnel is waiting for you. It is an excellent simulation and also a very entertaining experience. 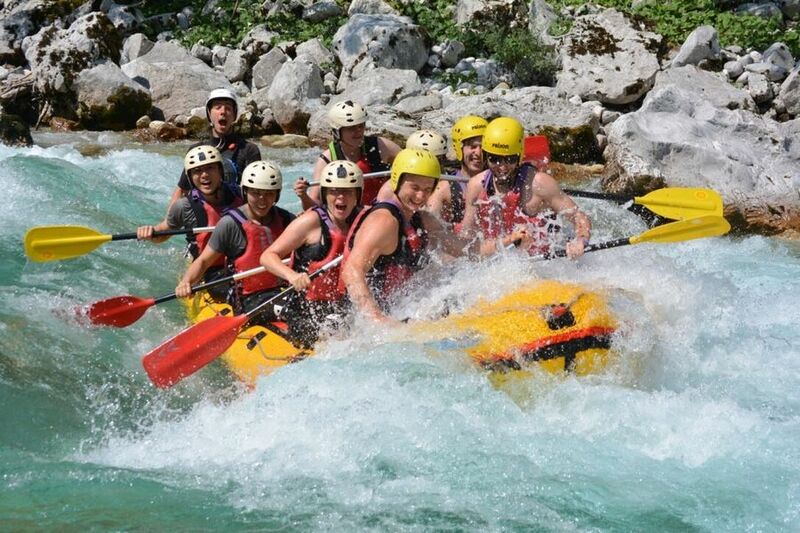 Adrenaline descent along the Sava or Soča rivers with a raft is a very popular experience. In addition to adrenaline and fun, you will enjoy pristine nature and crystal clear waters. The more demanding Soča will enchant you with its color. Because of its shade, it is also called “The Emerald River”. Rafting on the Sava River will be a great choice for families, as this is a less demanding experience. If you want to try rafting, schedule 2-3 hours for the whole tour. But I promise you it will be memorable. Like rafting, kayaking can also be full of adrenaline or a family experience, depending on which river you will be taking on. We also provide kayaking in a more demanding version on the Soča River and in a more family option on the Sava River. 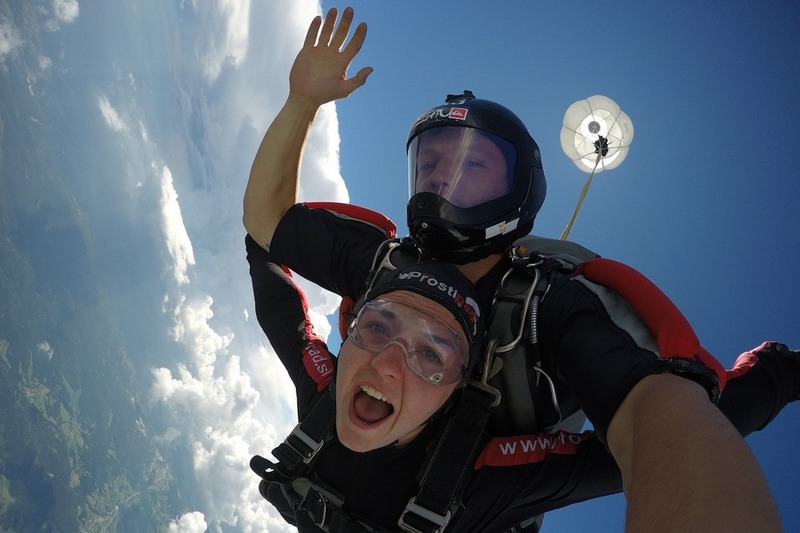 At Altitude Activities, you get all the equipment you need for a safe and fun experience. A lot of interesting information is available during the transfer from Bled to the starting location and back. 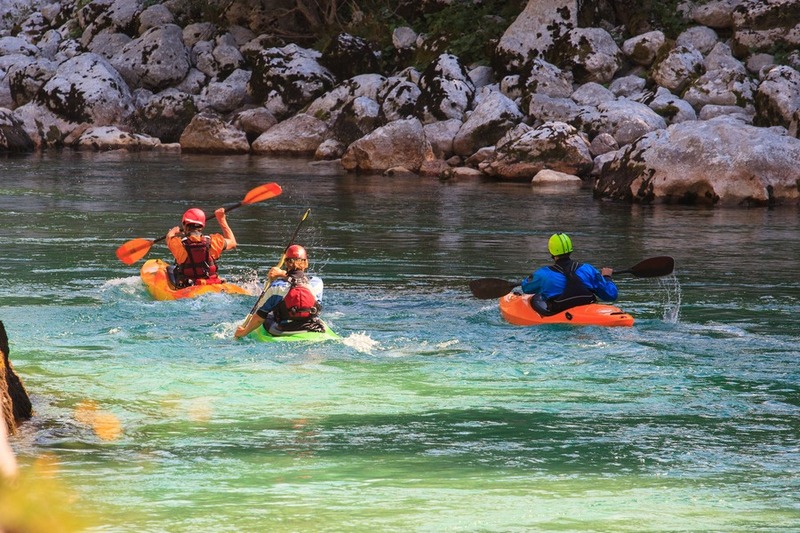 Warning: In case you would like to try kayaking on the Soča River, you have to take care of the transport to Bovec where the starting point is. 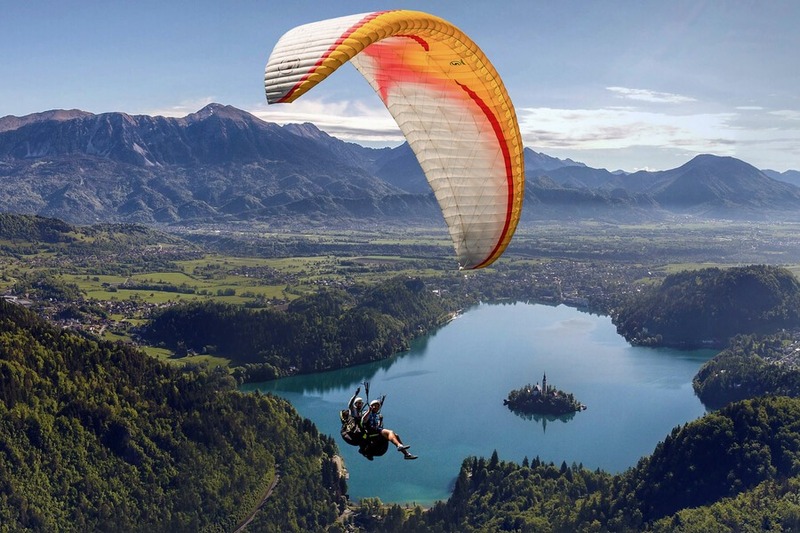 Of all the activities we offer, paragliding is the one that will give you the most beautiful view of Bled, Lake Bled, and its surroundings. Of all the activities we offer, bungee jumping is the one that will probably trigger the biggest adrenaline boost. In Bled and its surroundings, you can do many things in the winter. We also perform many adrenaline activities in Altitude Activities. The timing of these activities often depends on weather conditions, but favorable conditions in the period from December to March are at best. 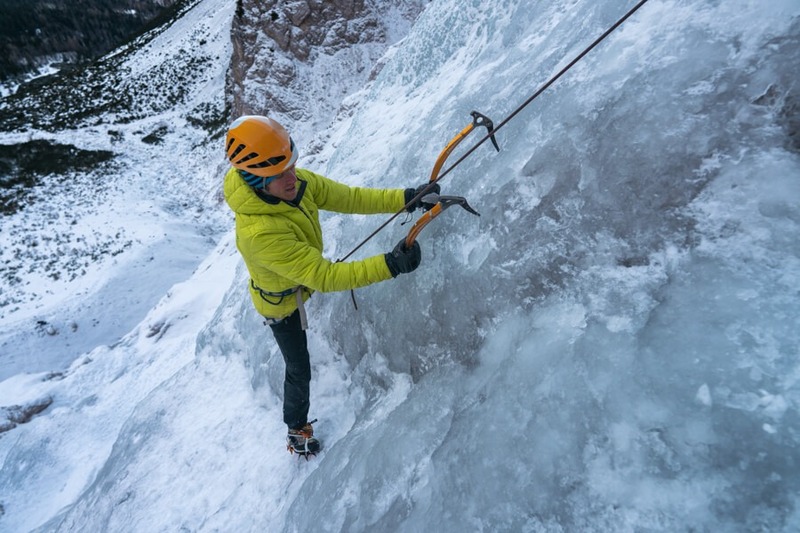 A half-day excursion where you can try ice climbing on frozen waterfalls. Before starting the experience, we equip you with all the necessary equipment: picks, crampons, belts, etc. You are not alone during climbing – an experienced guide with an ice climbing license watches and protects you. Our guides are the most successful ice climbers in Slovenia and also on the universal level. Therefore, you will be able to take on the world champion in this adventure. 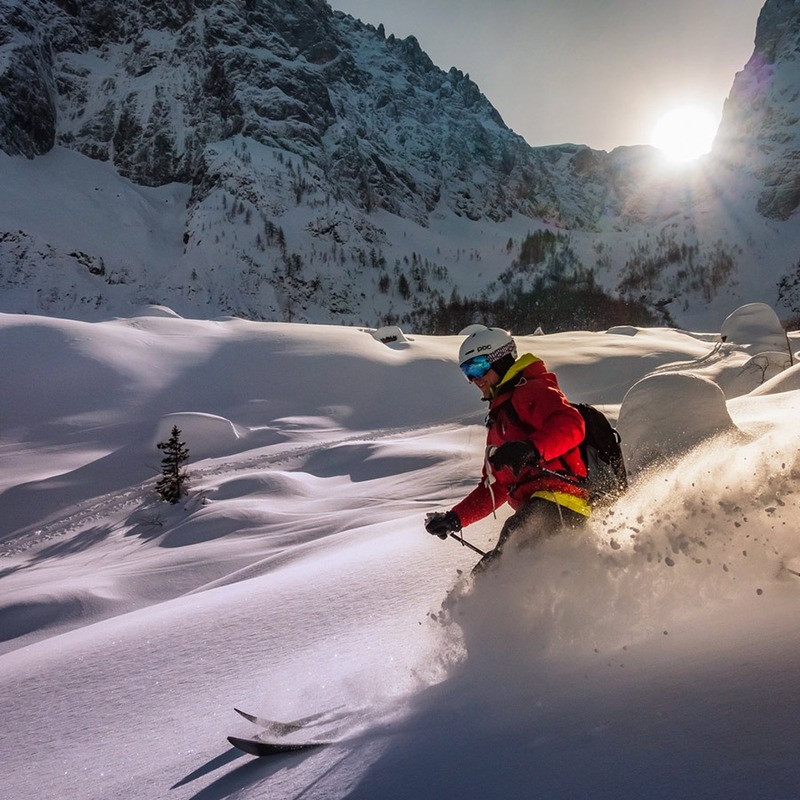 Ski touring will not only be an adrenaline experience, but you will also do something for your health with this feat. Enjoying the clean air, a tiring climb to the top, enjoying nature and sightseeing, and an unforgettable downhill back to the valley are things that will convince you in this whole-day excursion. 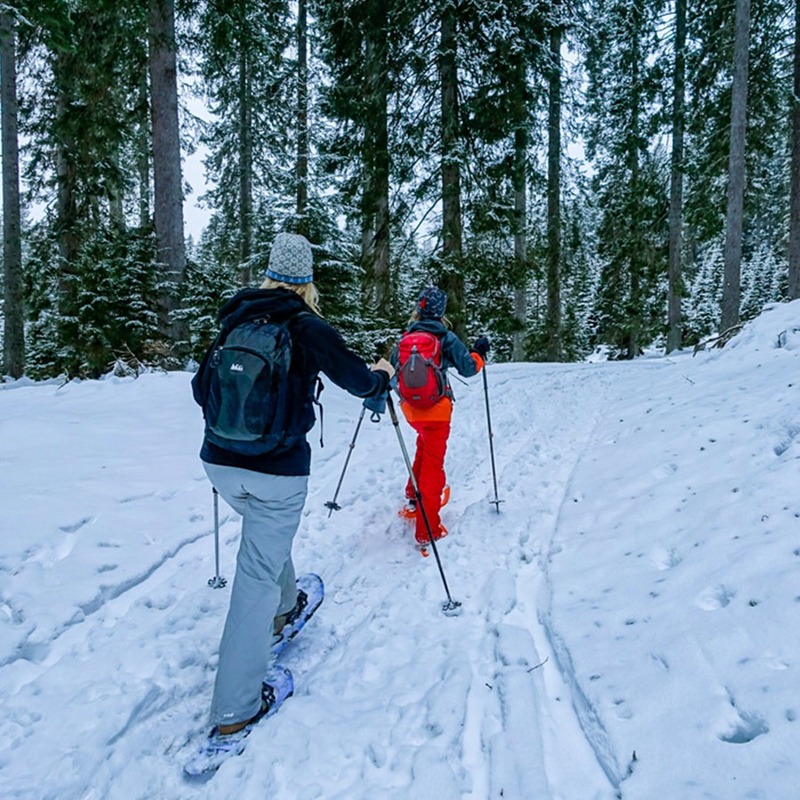 Ski touring is appropriate if you are healthy and older than 8 years. The tour can be adjusted according to your physical fitness. A tour for all who want to experience as much genuine contact with nature as possible. We take you on a simple tour, difficulty 1 out of 5. Snowshoeing is a half-day tour. Departing from Bled, driving with a van in one direction takes about half an hour to get to the starting location. 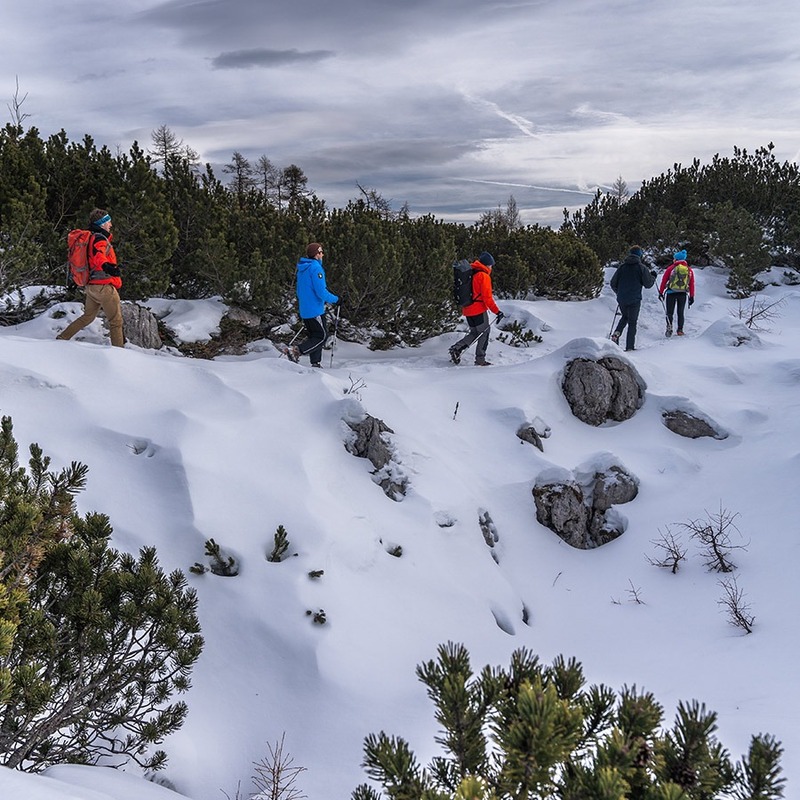 You can find out more about snowshoeing in the Triglav National Park and make a reservation on this link. A half-day trip for those who want to experience the winter fairy tale in the Julian Alps. Unlike a two-day winter trip to Triglav, this one is much less stressful and suitable for all healthy and active visitors of Bled. The activity is suitable for individuals and groups. Departures are every day. Not so extreme, but so much more fun for everyone who visits Bled or the surrounding area. 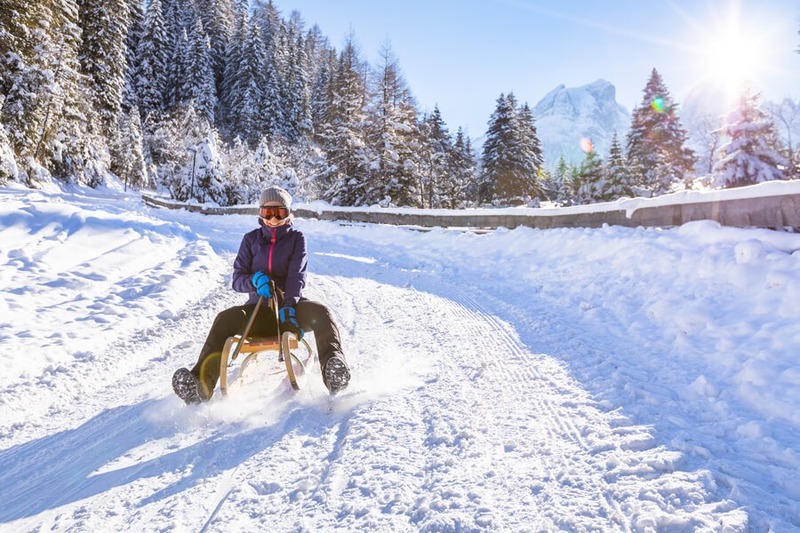 A chairlift will take you to the top where you can experience the long and fast, yet safe sleds with sleighs that are adapted for competitions and fast driving. These sleighs work completely differently than regular sleighs. Do you know how? All of this is explained by our guide during the drive from Bled to the sledding polygon. We do most of the trips every day when the weather conditions allow it. The specialty of our agency is to concentrate fully on the individual and fully take into account your wishes, knowledge, and requirements. It is precisely because of the individual approach that you can sign up for almost any activity alone or with your partner. You Do Not Have Transportation? No Problem! 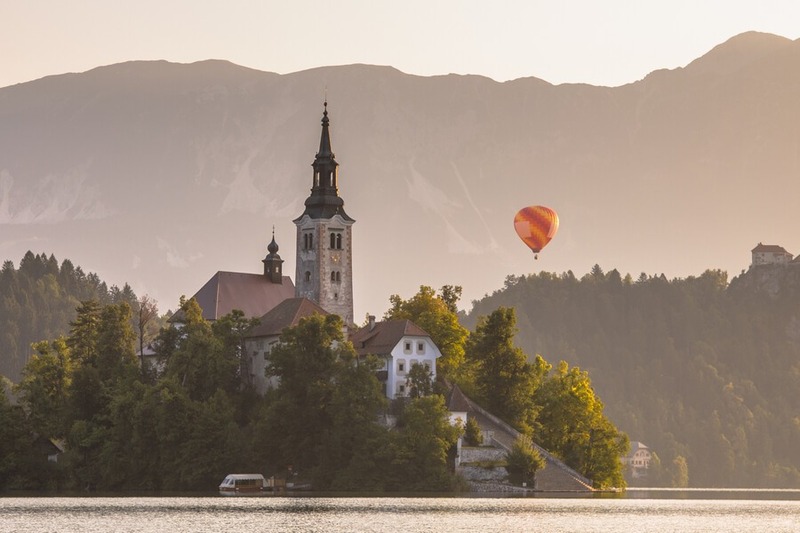 If you are staying in Bled or in the vicinity during your stay in Slovenia, you can register for any activity via the website, and choose to be picked up at your location during the registration. 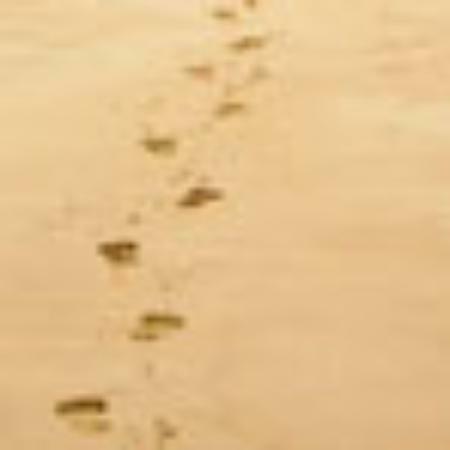 In this case, the guide will pick you up a few minutes after the scheduled departure from the agency and we will also bring you back when returning. We Will Take Care of the Equipment! You need protective equipment for most things that you can do in Bled and which we provide. We take care of all the necessary equipment for all the activities. You only need your goodwill, a bottle of water, and a sandwich and the trip will be perfect. You can always contact us. Write to us at info@altitude-activities.com and we promise that we will send you an answer in an extremely short time. We, a group of 7 friends, had a great experience with the alpine wonders tour, provided by Altitude activities with our guide Timothy. Amazing views accompanied by interesting information about the region. Recommended.